T-Mobile is starting the week off in a big way. T-Mo has confirmed that it’s now updating the Samsung Galaxy S9 and Galaxy S9+ to Android 9.0 Pie. The S9 is getting update version G960USQU3CSAB which comes in at 1964.25MB, while the Galaxy S9+ is receiving update version G965USQU3CSAB which is 1988.79MB. The update to Android 9.0 Pie brings with it Samsung’s One UI. This updated user interface aims to make navigating the OS easier, keeping relevant content that you want to interact with near the lower part of the screen while content that you’ll be viewing is in the upper half. One UI also brings a night mode across its user interface, and Samsung has also said that it worked to make One UI more clear and intuitive. One UI isn’t the only major feature that T-Mobile Galaxy S9 and S9+ owners are getting with this update. RCS Universal Profile 1.0 support is included as well, which enables upgraded messaging features like typing and read indicators, group chats up to 100 people, and larger file transfers. These features work when you’re chatting with another user with RCS Universal Profile 1.0. These updates don’t appear to be hitting T-Mobile Galaxy S9 and S9+ devices widely quite yet, so don’t fret if you don’t see it on your phone quite yet. It should begin more broadly hitting devices in the coming days. As always, you can manually check for updates by going into Settings > Software update > Download updates manually. Someone is out there waiting and refreshing every second for the update. If I am running the beta version, will I automatically get the new update or is there something else I need to do? Following because I’m in the same situation. Same. Shouldn’t we be getting it first? Isn’t that the definition of beta? No. Beta means you get *test* versions of an updated OS, but when the time comes to finish the testing, wrap up the new code into the new OS, and push it out, it doesn’t necessarily mean you’re first in line. The possibility exists, but there’s really no guarantee (unless they actually came out and said so). You will get the as a OTA, just like everybody else! doesn’t matter if you were in the beta. All it means is you helped them test for bugs, they never have said you’d get the final version before anybody else. What about the S8, the S8 is still running on Oreo. 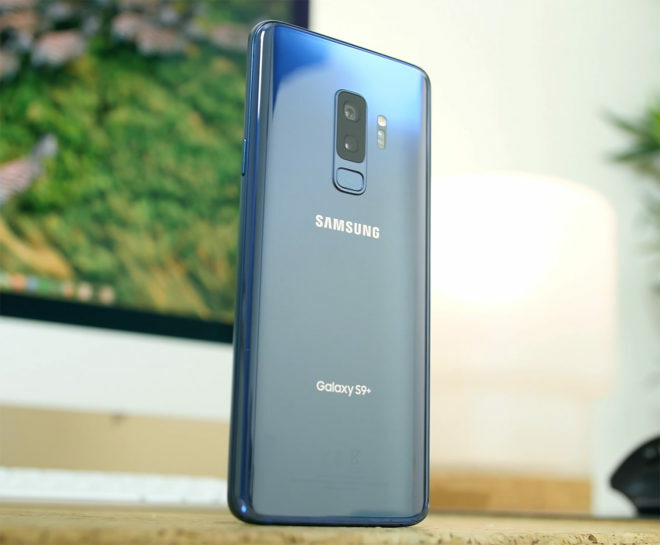 DIDN’T the SGS8 come before the S9 ? Yes, it did, and older device does not mean faster update. Quite the contrary. I’ve been reading the update re-enables Bixby. I don’t care to use a third-party app to re-map, so I’m fine with sticking to Oreo for as long as possible. There are also no features in Pie that compel me to upgrade. Can I use Google Messages and get RCS UP? Or, will RCS UP only work with the Samsung Messages app? no one has received this update yet. .
Any news regarding the G7 getting updated to 9.0? This software update has been placed on hold and will resume at a later time. It should’ve been here by now…sheesh. Update back on as of 12:45am EST. I just downloaded and installed it. wow what a coincidence! 5 days before the S10 announcement… lmao. Ppl stop being hype beasts and just wait fopr the pixel. Atleast you get your money’s worth with the best camera and guaranteed updates for at least 3 years.